In the market for a new kitchen faucet or maybe you’re remodeling your kitchen and wondering what sink/faucet combinations other people are using in their kitchens. Sometimes all you need is a little inspiration to help you find the perfect combination. Don’t worry, we’re here to help. 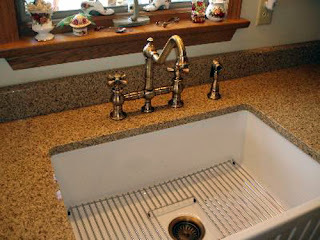 Below are some kitchen sink and faucet combinations our customers have used in their homes. This customer paired a Whitehaus Quatro Farmhouse Sink with a fluted apron front with a Whitehaus Vintage III Bridge Faucet in antique brass for a classic farmhouse feel. 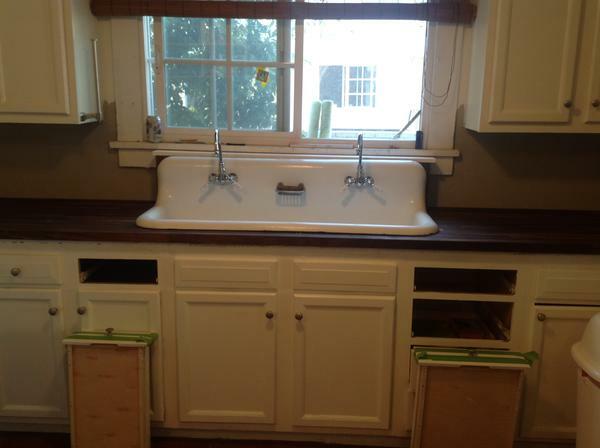 For the perfect finishing touches, they added a Whitehaus sink grid and drain to their kitchen sink. 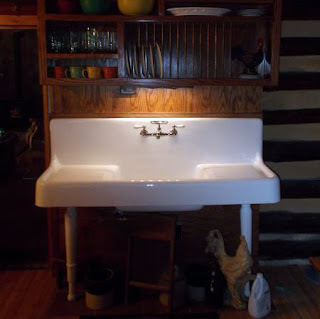 This Vintage Tub & Bath customer chose a Strom Plumbing Cast Iron Sink with legs for her 1935 log cabin kitchen. Paired with a wall mount faucet, which is mounted to the back of the sink, this set up actually makes us want to wash dishes! One creative customer installed two Randolph Morris Gooseneck Tub Faucets to the wall of a vintage cast iron bathroom sink and installed the sink in their kitchen. We think it looks fantastic! These customers had the right idea! They paired their Whitehaus Duet Series Fireclay Kitchen Sink with modern and vintage gooseneck faucets. Which kitchen sink and faucet combination did you choose? 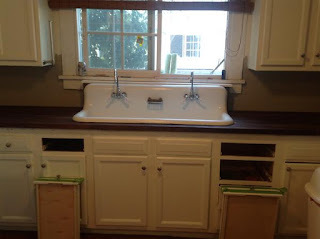 Let us know in the comments below, share a picture of your kitchen sink with Vintage Tub & Bath on Facebook, or upload your photo to Instagram using the hashtag #vintagetubandbath and tagging @vintagetub.